At Brighton, we have always strived to maintain a very high level of professionalism for tomorrow’s professionals. 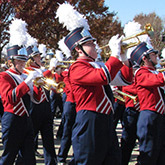 We specialize in brass and woodwind, strings, guitar and electronic repair. Brighton Music Center offers professional instruction on most musical instruments as well as voice. Brighton customers have the ability to either shop online for products or stop into one of our two locations. At Brighton, we have always strived to maintain a very high level of professionalism and know that today's beginning students may be tomorrow’s professionals. For this reason we have tailored our rental program to help ensure the best opportunity for your child’s success. Brighton Music Center Band Instrument Repair facilities are located in house at our New Brighton location. 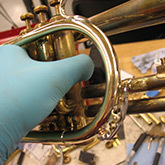 Our Band Instrument Repair technicians are able to service an array of instruments and provide our customers with expert advice and cost effective service. 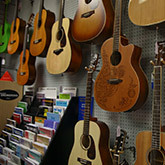 Brighton Music Center offers professional instruction on most musical instruments as well as voice. 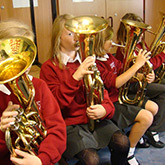 With a varied background ranging from musicals, orchestra, brass and woodwinds, and rock and jazz our teaching staff gives you an edge when you sign up for lessons. Brighton customers have the ability to either shop online for products or stop into one of our two locations. We carry an array of products categories like band and orchestra, guitars, recording and live sound, drums and percussion, keyboards and much more.